Since 1985, the first spicy potato chip in the world is still the best. Open a bag of these thick-cut chips and get ready for a spicy blast from the bayou! 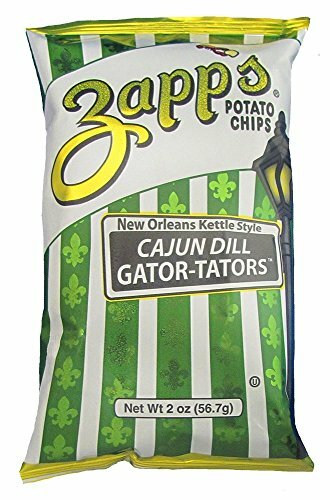 Since 1985 Zapp's is the only kettle cooked chip with the Cajun crunch that packs all the flavor of Louisiana. It all started when Ron Zappe's oil-field-equipment business was sliding downhill along with the rest of Louisiana's oil-based economy. His wife, Anne, brought home a bag of kettle-fried potato chips. One bite and he fell in love. Ron had never tasted chips as thick and crunchy. Ron got the idea that would later strike gold. His concept was to create his own brand of kettle-fried chips. He also thought that if this chip had a spicy kick, it would appeal to taste buds of Louisiana. 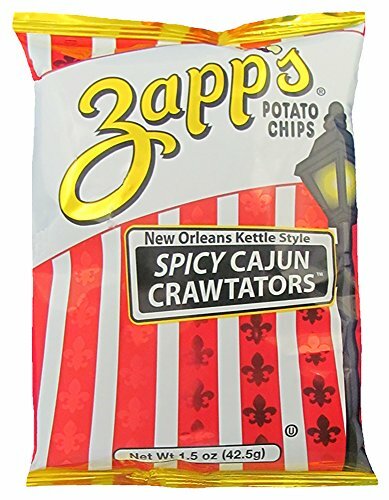 A quick study, Ron learned the secrets of developing a sound chippery and began developing his own unique brand of spicy mixes like Zapp's Cajun Craw-tators, along with more conventional chips. In 2010, we lost our founder and friend with Ron's passing. We continue to honor his legacy and tradition by being the most uncommon chippery that creates the best flavors and curiously unique products. We can still hear Ron saying "laissez les bon temps rouler!" The taste of a Cajun boiled seafood feast that goes crunch and your mouth goes wow. 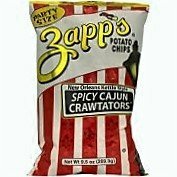 Zapp's was the first Cajun flavored anything and is still our #1 seller! Zapp's Chips are batch cooked to perfection. We slice them extra thick and put them in a kettle with pure, cholesterol-free peanut oil. 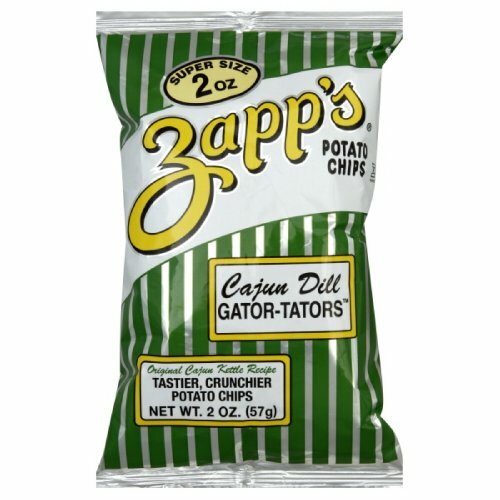 Since 1985 Zapp's is the only kettle cooked chip with the Cajun crunch that packs all the flavor of Louisiana. It all started when Ron Zappe's oil-field-equipment business was sliding downhill along with the rest of Louisiana's oil-based economy. His wife, Anne, brought home a bag of kettle-fried potato chips. One bite and he fell in love. Ron had never tasted chips as thick and crunchy. Ron got the idea that would later strike gold. His concept was to create his own brand of kettle-fried chips. He also thought that if this chip had a spicy kick, it would appeal to taste buds of Louisiana. 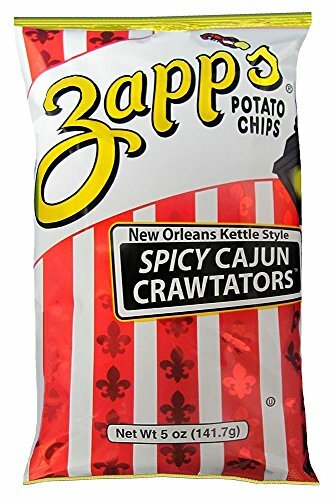 A quick study, Ron learned the secrets of developing a sound chippery and began developing his own unique brand of spicy mixes like Zapp's Cajun Craw-tators, along with more conventional chips. In 2010, we lost our founder and friend with Ron's passing. We continue to honor his legacy and tradition by being the most uncommon chippery that creates the best flavors and curiously unique products. We can still hear Ron saying "laissez les bon temps rouler!" You won't eat another kind. The problem is, they're hard to find! 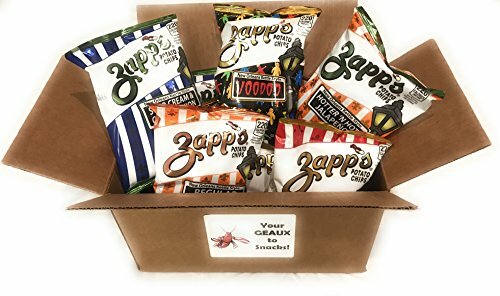 This variety pack includes 2 each of Voodoo, Spicy Cajun Crawtator, Sour Cream & Creole Onion, Hotter n Hot Jalapeno & Regular! Original Cajun Kettle Recipe: Tastier, crunchier, cholesterol free chips. The Little Chippery in Gramercy:... Zapp's Potato Chips are kettle cooked, one batch at a time, in our custom designed fryers. This process, combined with premium ingredients, results in a crunchier, tastier potato chip which we hope you will prefer. 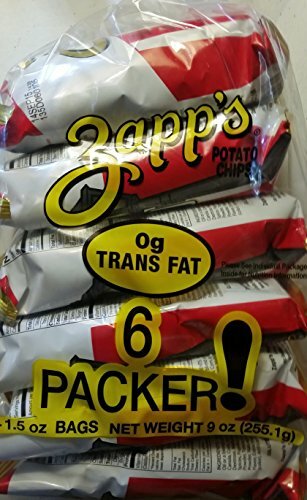 Enjoy great tasting Zapp's anywhere in the U.S.A! Looking for more Cajun Potato Chips similar ideas? Try to explore these searches: Padded Memory Foam, Alternate 5950 Fitted Cap, and Personalized Badge Holders. Look at latest related video about Cajun Potato Chips. Shopwizion.com is the smartest way for online shopping: compare prices of leading online shops for best deals around the web. 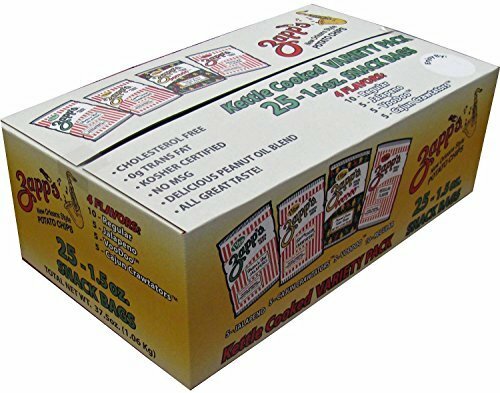 Don't miss TOP Cajun Potato Chips deals, updated daily.